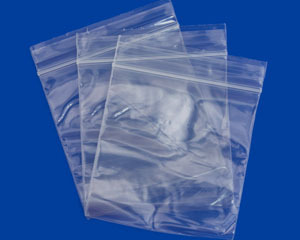 You'll find quality made Zip Top Bags and Polypropylene (Poly) Bags in this section. These Bags are easy to open, and can be used over and over. Our Zipper Top Bags are available in a wide variety of sizes from 2x2 all the way up to 12x18. These bags are 2 mil in thickness and are sturdy enough to hold a variety of jewelry items or tools. Zip-top poly bags are available in clear or white block style which allows you to mark the contents of each bag for handy reference. Choose these bags when you want to re-use them again and again. 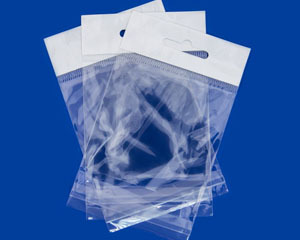 These ultra clear bags, commonly known as OPP or Cello Bags, are closed with an adhesive strip. Great for use on a display table for jewelry, or other crafts. 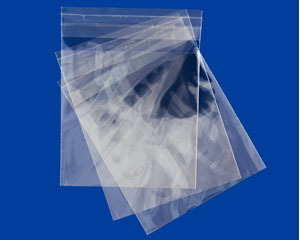 We carry a wide variety of standard sizes from 2x2 to 8x10. including hard to find sizes like 2x10 and 1x10, great for those unique shapes. Choose these bags when you want to display items flat on a table for sale. These 'press and seal' clear bags have a white hanging header that allow you to hang bags from a display rack. Also known as OPP or Cello Bags, these are made of a crystal clear material that allows you to easily see the contents stored in each bag. We carry all of the most popular sizes from 2x2 to 8x10. Choose these bags when you want to hang items on display racks for sale. These Bags are perfect for keeping earrings or chains from tarnishing. 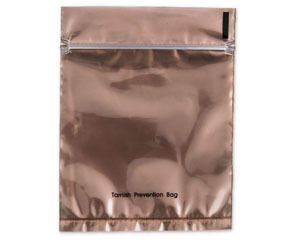 With polymer on one side and a clearpoly fim on the other, these anti-tarnish bags allow display of the items enclosed while protecting your items from tarnishing for up to 3 years.